The little mermaid, the symbol of Copenhagen, Denmark. The more the UK approaches Brexit, the more Denmark moves towards the European Union. 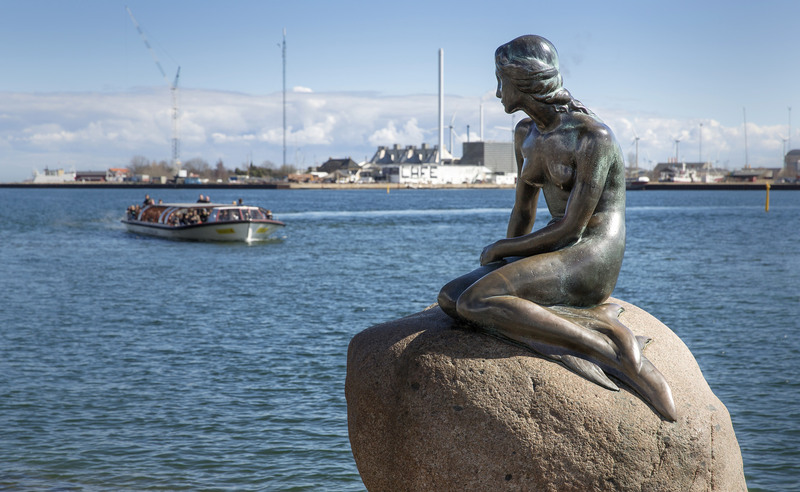 A public opinion poll shows the Danes – unlike the Britons – are growing more enthusiastic toward European Union membership. Even though both countries joined the EU the same year (1973), they have very different feelings toward the bloc. As reported by Bloomberg, the Epinion poll published by state broadcaster DR shows that if a membership referendum were held today it would be backed by 55% of Danish voters. Before the June 2016 Brexit vote, Danish support for staying in the EU was just 44%. The poll findings suggest that young Danes are more positive about EU membership. Among young Danes (voters aged 18 to 34), support for EU membership jumped to 50%, from 39 percent before the Brexit referendum. Meanwhile, 55% of Danish voters who identified themselves as preferring conservative parties want to stay in the EU, compared with 40% before June 2016, the Epinion poll showed. According to Bloomberg, Denmark’s relationship with the EU has historically tracked Britain’s. After first rejecting the Maastricht Treaty in 1992, the Nordic country then voted for the Edinburgh Agreement after winning a number of opt-outs including the right to stay outside the single currency.